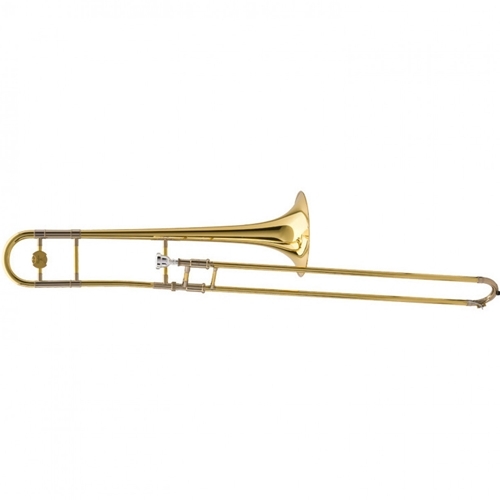 Developed with two of the world's finest trombone playersThe YSL-891Z was developed with Wycliffe Gordon and Andy Martin.Interchangeable Leadpipes The YSL-891Z comes with 2 interchangeable leadpipes. the NY leadpipe is longer and was developed with Wycliffe Gordon while the LA leadpipe is shorter and was developed with Andy Martin.BalancerThe new balancer found on the YSL-891Z perfectly proportions the instrument's weight.Inner slide The chrome-plated nickel-silver drawn inner slide is very durable and has a quick, sensitive response. In addition, it is a one-piece drawn slide.Outer slideThe one-piece, drawn, brass outer slide maintains an accurate diameter throughout its length, and this type of construction ensures airtightness, smooth action, and exceptional durability. The outer slide is fit with extremely close tolerances making the horn respond quickly and effortlessly.One-piece bellA one-piece bell has an axial (lengthwise) seam, making it a continuous extension of the instrument's material. This results in pure, uniform resonance and superior tone. A hammered yellow brass bell produces a pure and perfectly-balanced tone with quick response and extra presence due to advanced manufacturing techniques.Hand-lapped tuning slides Hand-lapping slides ensures an absolutely perfect fit and seal between the slide parts. Such a perfect fit helps to achieve smooth air flow and smooth action and improve the response and intonation of the instrument.Pressure formed tubing Perfectly rounded tubing results in less turbulence and a smoother air flow, thus allowing for an excellent scale and reduced resistance.Laser-fused plasma welded bellA high-energy laser fuses the brass together for a virtually seamless bell which allows continuous even vibrations.Slide lockThe unique slide lock design on all Yamaha trombones keeps the slide locked in place and keeps it from accidentally falling.Bracing The large, easy-to-hold nickel silver bracing guards against possible slide damage if the instrument is dropped and also lessens fatigue while playing.